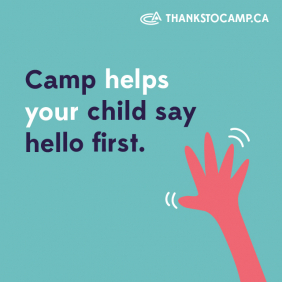 Check out these great discounts designed to help camper's families save money by booking multiple camp weeks, multiple siblings or groups. In addition, on-site equipment cleaning services are offered to campers. Sign up for more than one week of overnight camp and take advantage of our multiple week discounts. Send more than one child to camp and take advantage of our family discount. Groups or teams of 5 campers or more can take advantage of our simple online group registration process to secure group discounts. Overnight Hockey + Camp Program. **See below for additional details. ODORBUSTERS offer on-site hockey equipment sanitization. *SPECIAL WEEK DISCOUNT RESTRICTIONS: Week #1 ONLY (June 30 - July 6, 2019). ONLY applicable to campers registered in Overnight Hockey + Camp or Overnight Camp Programs. **GOALIE PROGRAM SPECIAL OFFER RESTRICTIONS: Discount ONLY applicable to campers registered as a Goalie in our Overnight Hockey + Camp Program for 2+ weeks (Week #2-8, 2019 ONLY). $150 (13% HST included) discount is applied after tax to 2nd week (plus additional weeks beyond).